February is is American Heart Month, sponsored by the American Heart Association. Here at Cal Fit, we're sharing lots of tips and information to help you learn more about cardiac health and take better care of your own heart. Read on for a heart healthy recipe. When U.S. News and World Reports released their annual rankings of diets at the beginning of this year, two diets known for supporting a heart healthy lifestyle topped the charts: The Mediterranean Diet and the DASH Diet. Both diets encourage eating lots of fresh produce, whole grains, and dairy. Today we'd like to share a delicious whole-grain meal that--thanks to fun toppings--you can enjoy at breakfast or dinner time! And a bonus: these are gluten and dairy free, too. In a medium-large mixing bowl, combine the buckwheat flour, all-purpose gluten-free flour, baking soda, optional ground cinnamon, and salt. Set aside. In another bowl, whisk together the milk, eggs, maple syrup, avocado oil, and pure vanilla extract. Rub (or spray) a skillet with coconut oil and heat over medium heat. Add the batter, about 1/4 cup at a time, to the hot skillet and cook each side for 1 to 2 minutes, flipping with a spatula when small bubbles appear on the surface of one side. Remove pancake from the skillet when both sides are lightly browned. Continue to do this until all of the batter has been used. Cover finished pancakes with a kitchen towel to keep them warm while cooking the others. 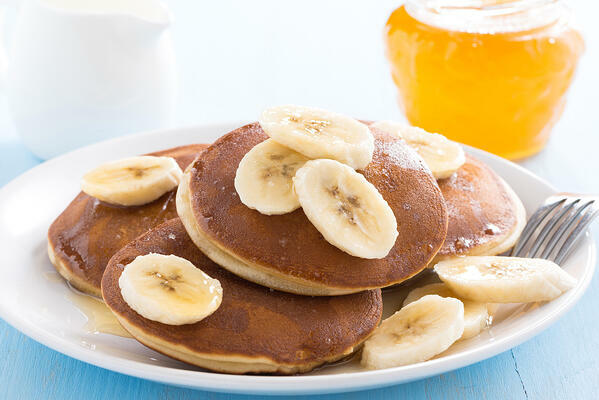 For SWEET pancakes, drizzle with melted coconut oil and top with your choice of bananas, berries, whipped coconut cream, nut butter, Greek yogurt, and honey or maple syrup. 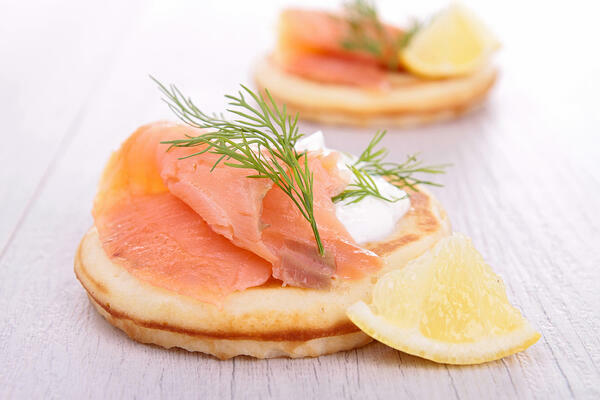 For SAVORY pancakes, try topping or rolling with smoked salmon or salmon roe, Greek yogurt, and fresh dill. Recipe adapted from The Spruce Eats.